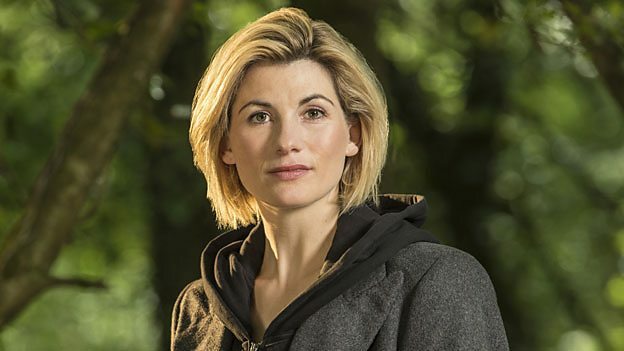 Chris Chibnall, New Head Writer and Executive Producer, says : “After months of lists, conversations, auditions, recalls, and a lot of secret-keeping, we’re excited to welcome Jodie Whittaker as the Thirteenth Doctor. Piers Wenger, Controller BBC Drama, says : "Jodie is not just a talented actor but she has a bold and brilliant vision for her Doctor. She aced it in her audition both technically and with the powerful female life force she brings to the role. She is destined to be an utterly iconic Doctor." Matt Strevens, Executive Producer, says : "I'm so thrilled that Jodie Whittaker said yes to playing the Doctor. I've been a fan for years and always hoped to work with her. She is an actor of great emotional range and inhabits every role with complete passion and conviction. Just thinking about what she will bring to the Doctor makes me as excited as a kid at Christmas. It's going to be a lot of fun." To be asked to play the ultimate character, to get to play pretend in the truest form: this is why I wanted to be an actor in the first place. To be able to play someone who is literally reinvented on screen, with all the freedoms that brings - what an unbelievable opportunity. And added to that, to be the first woman in that role. I’m most excited about becoming part of a family I didn’t even know existed. I was born in 1982 - it’s been around longer than me, and it’s a family I couldn’t ever have dreamed I’d be part of. Well they can’t because they haven’t known until now, but I’m certainly expecting a couple of calls - I’ve got a couple of mates in there. I’m mates with a companion [Arthur Darvill], I’m mates with a trio of Doctors. I know Matt Smith, Chris Eccleston and obviously David Tennant. Oh! And let’s throw in David Bradley! Four Doctors! So I’m hoping I get some calls of advice. Jodie Whittaker graduated from the Guildhall School of Music and Drama in 2005 with a gold medal in Acting. Since then she has worked continually in Film, Television and Theatre. Her TV credits include the critically acclaimed ITV drama Broadchurch (for which she was nominated for Best Actress for the RTS Television Awards), Emmy award-winning Black Mirror, Sky 1’s The Smoke, BBC’s Cranford, in which she starred opposite Judi Dench and Imelda Staunton, The Night Watch (BBC), The Accused (BBC), and Tess of the D'Urbervilles (BBC). Jodie has recently finished shooting Journeyman, written and directed by Paddy Considine, as is the lead in the new BBC drama series Trust Me. Her other film credits include Venus, (which earned her nominations for Best Newcomer at the British Independent Film Awards; Best British Newcomer at the Critics' Circle Awards and Best Actress In A Motion Picture at the Satellite Awards); Attack The Block, One Day, Black Sea, Good Vibrations, St.Trinian's, Get Santa and most recently Adult Life Skills, which she Executive Produced as well as starred in which received a number of BIFA nominations. Jodie made her professional theatrical debut at Shakespeare’s Globe Theatre in The Storm. Other theatre credits include playing the title role in Antigone at the Royal National Theatre, Bash at the Trafalgar Studios, Awake And Sing and Enemies at the Almeida, both directed by the then Artistic Director Michael Attenborough.